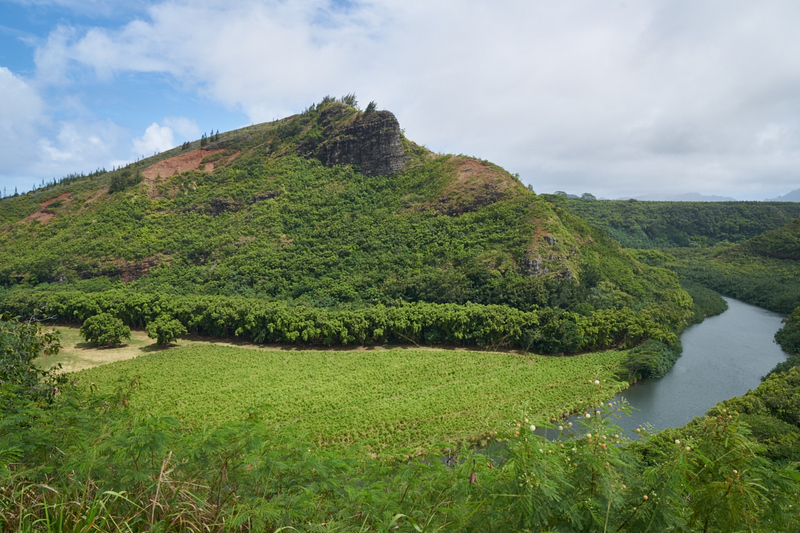 Kathleen and I had made a decision to roll on to another hotel, so we broke camp at the Cliffs and headed east on the island's ring road toward Lihue. Our next place was on the beach at Wailoa just sound of Kapaa. It was an easy day and a short drive on the only road. Several days prior we had found a restaurant called the Bistro where we had a great meal. Since we had to go right past the location on the way to the next hotel, it seemed only natural to eat there again. The building next door is called "Kong Lung Center" which sounds rather like some form of disease. Outside the restaurant we spotted these interesting flowers. 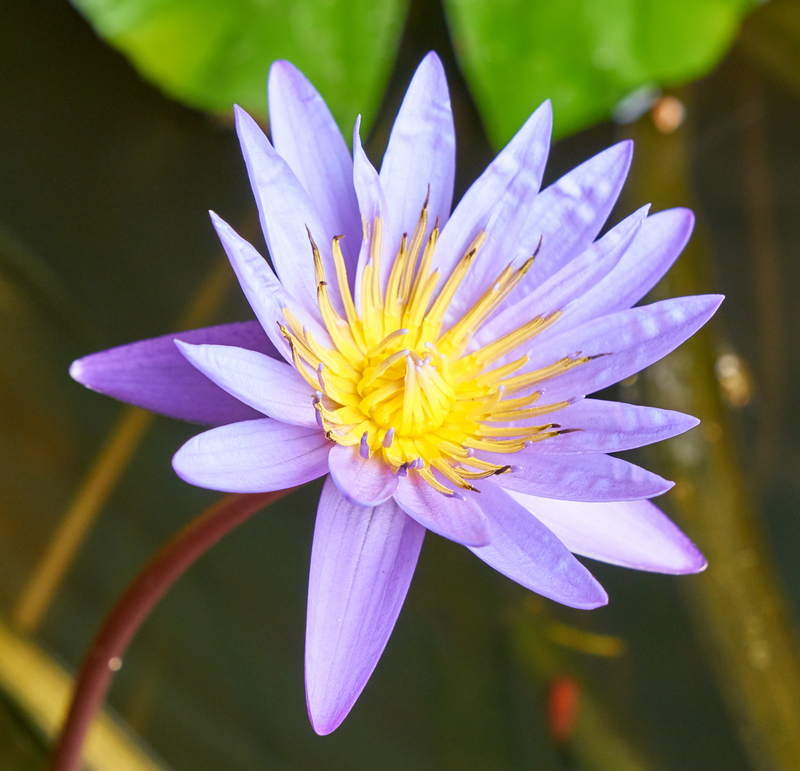 The flowers were floating in a rain barrel, so I am guessing that they are water lilies. 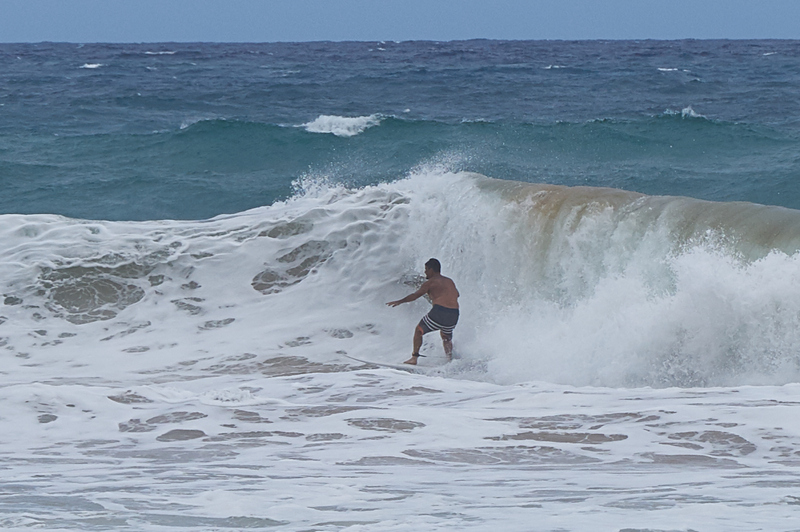 It rained off and on all day and the trade winds were stiff resulting in some pretty big wave. We came past the Kealia beach south of Anahola and decided to pull over for a few photos of the surfers. 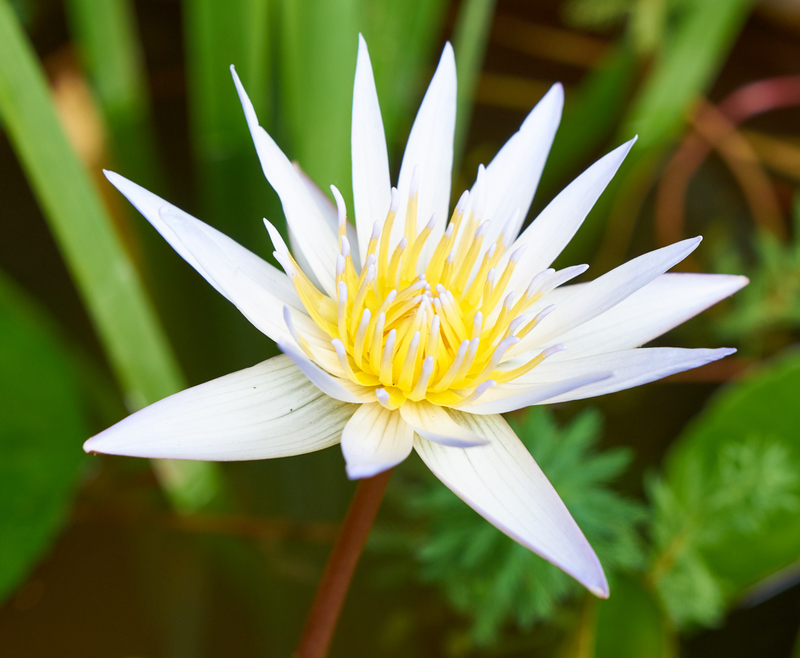 I only had my 70mm lens so these photos are heavily cropped. Happily, my camera has plenty of pixels. Several of the surfers were actually quite good. They're biggest challenge was getting back out through the pounding surf for their next run. This wave is perhaps 6 feet tall. This fellow is at the end of his ride and is cutting back over the wave. This fellow made a number of runs while we watched. He was pretty good. 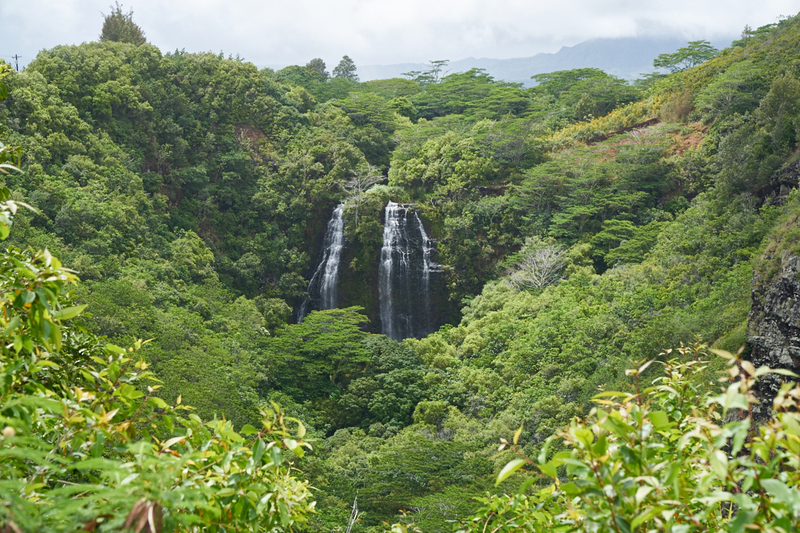 Before setting up camp at the next hotel, we decided to turn toward the center of the island and check out one of the big waterfalls in the area. The photo above is Opaeka Falls. It is easily visible from a lookout point on the road, but it is quite a ways back into the jungle. I never checked to see if there were trails that would have allowed us to get closer as we were getting rained upon during these photos. The viewpoint was from a high, steep volcanic ridge. 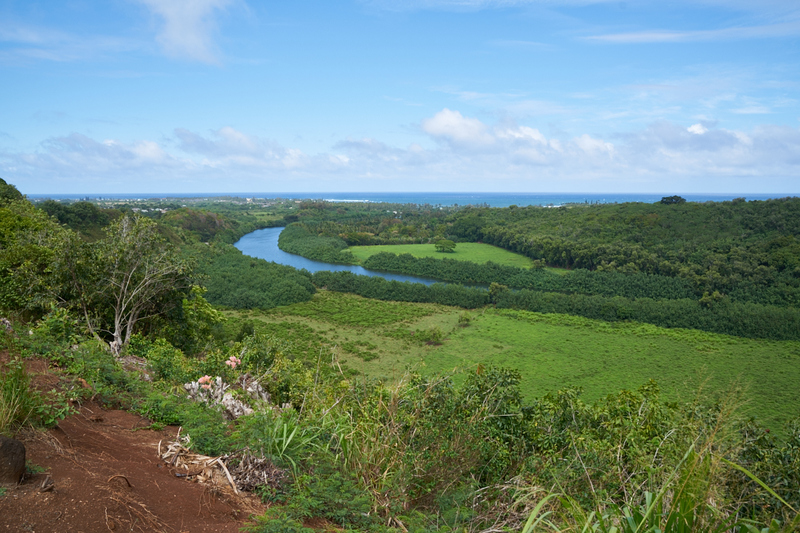 Just down the road we got a view of the Wailua River and its lush valley. A substantial portion of the valley floor was cultivated, but in the distance I could not identify the crop. To the east, the river dumped into the ocean. 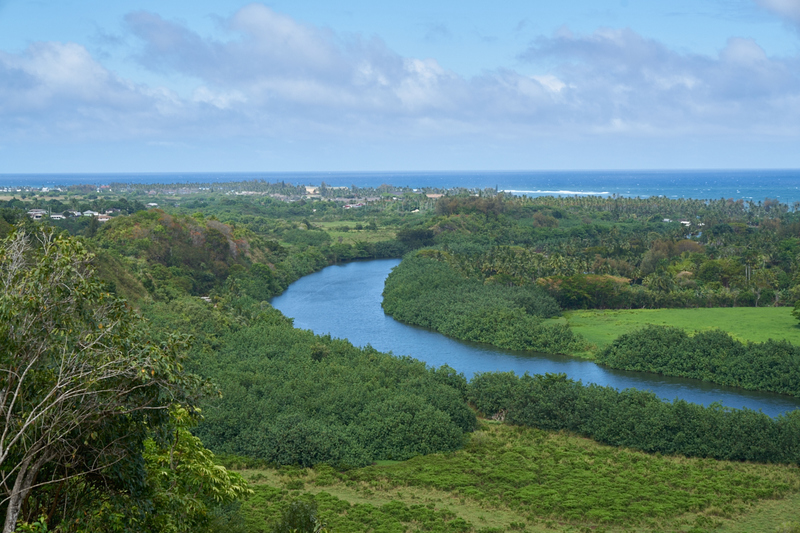 Our hotel was just north of the mouth of the river, in Wailua. There were quite a number of homes hidden in the trees on the hillsides. 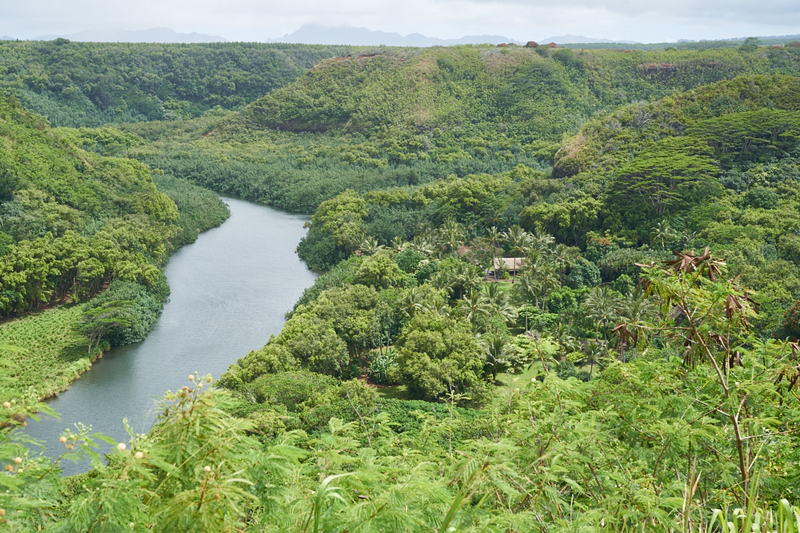 Next day we headed up the road to Wailua Falls on the upper Wailua River. 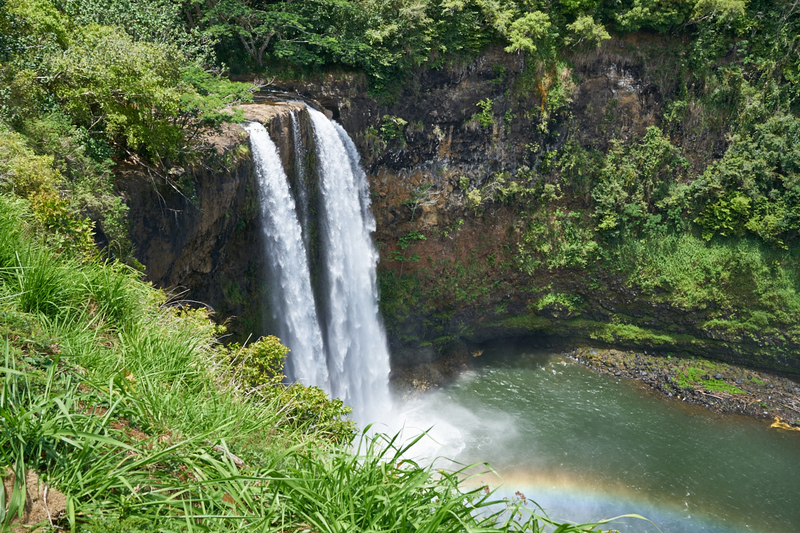 The locals call this "Fantasy Island Falls" as it was shown in the TV show. The falls are really magnificent but have no easy path to get to the pool below, so we were content with watching from above. We spent 2 lazy nights in Wailua and then we're heading south again. 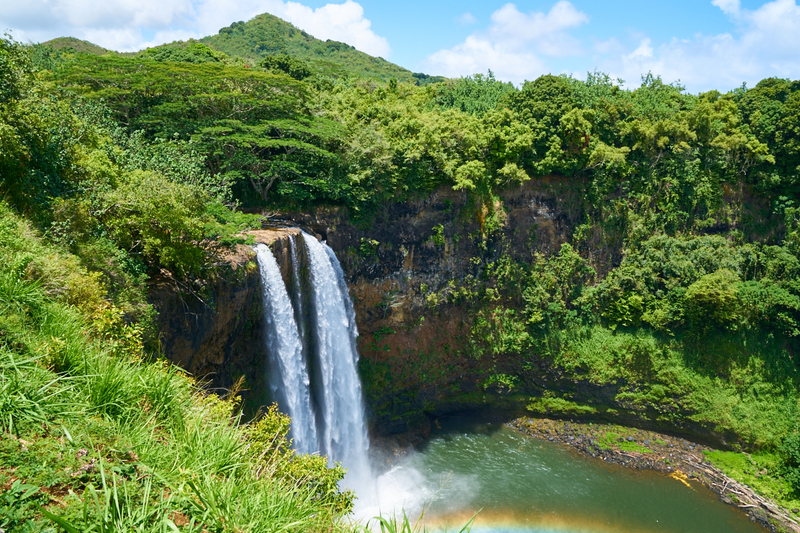 Next up, Fern Grotto and a helicopter ride to the rugged Napali Coast.